Hanoi (VNA) – The number of town houses and villas put up for sale in Hanoi in the first quarter rose to 2,600, a record high in three years, property consultancy CBRE Vietnam said on April 10. The eastern area unseated the west to become the largest supplier as 86 percent of the houses were offered during January-March. Sales of landed houses in the three months were impressive with 2,128 units transacted, up 45 percent from the last quarter of last year. Secondary prices of villas in the period rose 3 percent from the previous quarter and 2 percent from the same time last year to 3,924 USD per square metre. The CBRE attributed the increase in villa prices to the presence of prestigious investors who developed high-quality projects with good infrastructure. 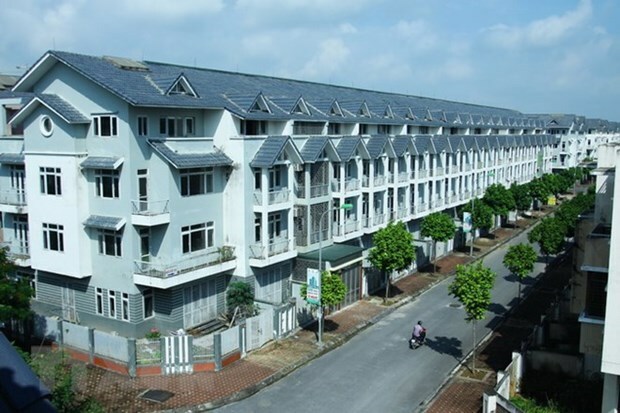 Nguyen Hoai An, director of CBRE Vietnam’s Hanoi branch, said that villas and townhouses in inner city will continue their attractiveness in the time a head, and the segment will have high liquidity in the market due to limited supply of landed property products in good locations. However, she said the market expects experienced developers as investors not only buy houses to live in but see them as a goose that lays golden eggs. In the period, around 11,820 apartments were rolled out into the market, rising 46 percent year on year, most of which were supplied by the Vinhomes Ocean Park in Gia Lam district and Vinhomes Sportia in Nam Tu Liem district. Again, the east took the lead in the supply of apartment in the city with 57 percent. The middle-end segment was on good sale as it accounted for 68 percent of the total successfully transacted units.